Description: Good space & great location on dead-end street very close to schools, pool complex & athletic fields. Major systems updated; furnace & central air 2013, roof 2004, bath tile and countertop 2015. 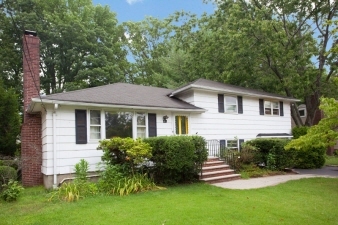 - Hardwood floors under carpet throughout, except family room & kitchen. Wood-burning fireplace in spacious living room. Being sold as-is, but really only needs redecorating. Great opportunity to make it yours!